Former CEO Martin Winterkorn used to be the best-paid CEO among German blue-chip firms, receiving just under 16 million euros in 2014. HAMBURG -- Volkswagen is planning to cap the annual pay package of its CEO at 10 million euros ($10.7 million) and keep wages for other management board members below that, a source familiar with the matter told Reuters. Under the plans, executives would receive a higher fixed salary and lower variable pay, and bonuses would be tied to dividends and the VW stock price, business daily Handelsblatt reported earlier on Monday. Executives would also invest in company shares, which would then be held for several years, the paper added. 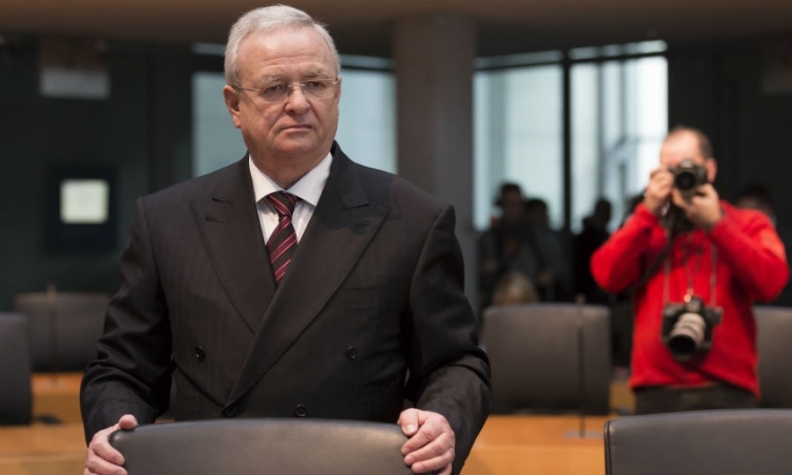 VW's supervisory board has been working on new executive pay rules for some time. The 20-member panel is due to discuss the plans at its next meeting on Feb. 24, the source said. A spokesman at VW's Wolfsburg-based headquarters declined to comment, as did the carmaker's works council whose members occupy about half the supervisory board's seats. The company has come under fire over executive pay before. Former CEO Martin Winterkorn used to be the best-paid CEO among German blue-chip firms, receiving just under 16 million euros in 2014. In 2015 that was halved but he still received 7.3 million euros in fixed and variable compensation, despite the company's stock plunging on the back of it diesel-emissions cheating scandal. Last month, the carmaker's compliance chief left after a little more than a year in the job following a falling out, reportedly receiving about 12 million euros.